February was a good book month for me! 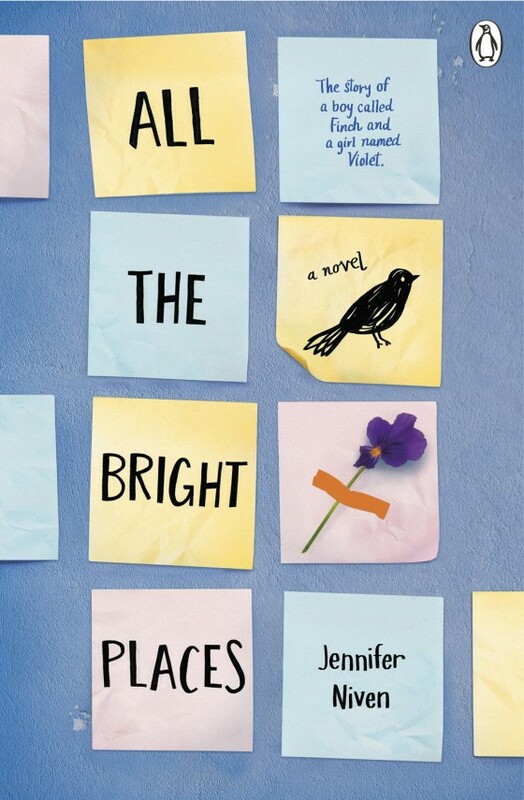 I read Eleanor & Park and this one: All The Bright Places. All The Bright Places started out a little slow for me. The book alternates characters and between chapters: the main characters Theodore Finch and Violet Markey. Both are incredibly unique. Yes, this is another teen lit love story but you can’t help but fall in love with these two. Violet & “Finch”, as he’s known, are the unlikely couple. Finch has some issues at home, doesn’t really fit in, and is obsessed with death. Violet can’t wait to escape high school and looks forward to graduation. Time seems to crawl by for Violet because she is sort-of stuck in the middle of grief from a car accident she was involved in. As the story evolves, Violet & Finch spend more time together and they both come beautifully out of their shells, especially when they are spending time together. About a quarter of the way through this I just couldn’t put it down and read the rest in one sitting. 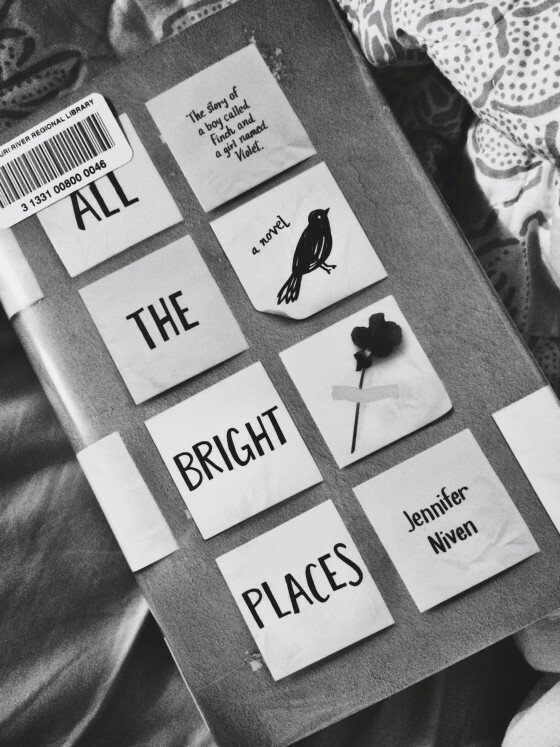 I loved the way Jennifer Niven really paints a vivid picture of each scene, specifically though skillful poetry, word choices, and imagery. The author confronts, head-on, the darkness surrounding mental illness, specifically in teens, but does so in such a hopeful manner. And seriously, if you loved the electric hand-holding scenes of Eleanor & Park, All The Bright Places will not disappoint. Currently Reading: Fangirl; Yes, Please; Bittersweet. Up next: The Sea of Tranquility. I was just looking at this yesterday! Adding it to my “to read” list now – I love any follow-ups to E & P!